Any organisation which is granted a royal charter, that is to say, can use the word royal in its title, is always prestigious. 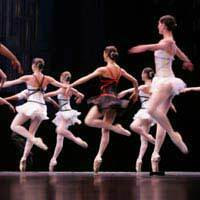 But when it comes to the arts in general and dance specifically, there are none more prestigious than the Royal Ballet, or, as it was known before its royal charter, Sadler’s Wells Ballet. The organisation is not yet 100 years old yet it carries the weight of history and the weight of an artistic nation with it. In its time it has produced some of the most jaw-droppingly beautiful pieces of dance ever seen on stage and a night at the ballet still ranks as one of the most glamorous nights out for most people. Let us take a look at where it all began. The predecessor to the Royal Ballet was formed in 1926 and was called the Academy of Choreographic Arts. This was a dance school for girls and its founder wanted a school where girls could learn to dance and then perform on the stages of the Old Vic and Sadler’s Wells which were by then, run by Lilian Bayliss. As the success of the company at these two theatres grew, the company began to be known as the Vic-Wells Ballet, reflecting the duel site notion of the company. Sadler’s Wells was destined to be the home of dance in London though and the school soon found this its home. The school changed with the times and soon became the Sadler’s Wells Ballet. In 1946, the company was invited to move from Sadler’s Wells to the Royal Opera House, which it did. But there was also an arm of the company which was formed to remain at Sadler’s Wells so the tradition of ballet which had been built up there could continue. By this time, there was a dance school and a dance company and in 1956, they were handed a royal charter which led to the name change to the venerable title we see today as the Royal Ballet. What was then, at that time, the spin off arm of the Sadler’s Wells Royal Ballet was then invited to Birmingham Hippodrome, thus beginning a new chapter. After being invited to be the resident ballet company at the Hippodrome in the second city, the company ended up being renamed Birmingham Royal Ballet. This company went on to become independent of its parent Royal Ballet company in London, although, to this day, the two remain very close, although Birmingham has long since developed its own ballet school as well. Today, the Royal Ballet is based in the grand surroundings of the Royal Opera House in Covent Garden. It currently employs about 100 dancers and is one of the most famous dance companies in the whole world. While ballet remains a specialist subject, few people who go to the ballet can deny that the Royal Ballet is one of the most spectacular sights to find on stage.